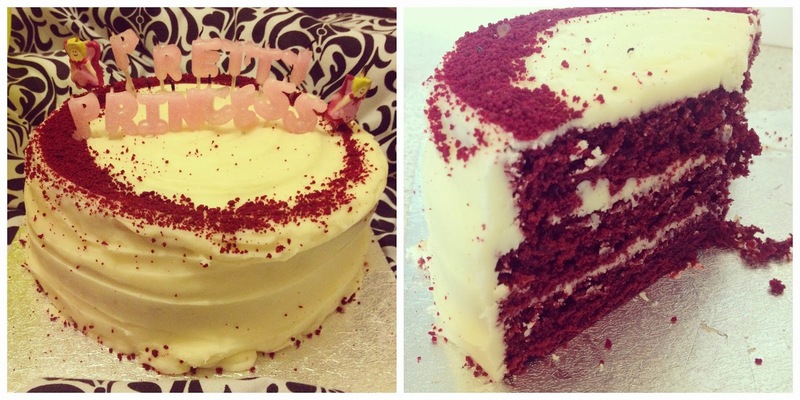 So after lots of you said yes yes yes to me doing a birthday haul type post - here it is! Just thought I'd share of my photos from Saturday and a couple of the presents I was lucky enough to receive - I truly do have such incredible people around me who made my day so special! I turned up to my friend's house to see this! Wow! Everyone knows I am a crazy Disney lover and my friends seriously knew what would make me smile! Banner, balloons and party food (including princess cupcakes!) - if I hadn't already done my make-up I really would have let the tears flow! This was bought into me at midnight by my lovely boyfriend! He knew that I'd seen this cake ages ago in Tesco and really wanted it - Finest Red Velvet - and check out those candles - boy did good! YUM! Look how cute this is! I love this Micky & Minnie ornament so much - just got to decided where to put it now! Birthday treat time! Wahoooo I got my nails done! I've actually hated not having them done the past few weeks - having them just make me feel 200% better about myself and so much more glamorous, especially for my night out! I got this gorgeous brown/taupe type colour , I really fancied a neutral shade this time round, I know I'm meant to be on a spending ban but I think this is one luxury I can't give up just yet! By the name of my blog you may have noticed I'm a bit of a Wizard Of Oz fangirl! (And this birthday I recieved lots of W.O.O. themed presents aswell as Disney - people just know me so well!) My Mum got us tickets to see Wicked this year so this was a perfect present from her! I LOVE musicals and cannot wait to see this, it's been on my to-do list for years! I am an obsessive DVD hoarder - I love films! These are both movies I had seen before and loved - one was from my little brother and the other my boyfriend! These are both must-see's I love them and so glad I can watch them again whenever I want now! I did have one of these until about a month ago- when I smashed it open to pay for my deposit for Disneyworld! So what a perfect present! I will be filling this up to the brim and smashing it open just before I go away - perfect way to save save save! Since moving out I have been loving getting bits an bobs for my flat! This is the cutest timer for the kitchen! Cath Kidston with the little pup on the top, adorable! This was such a special present from my parents! Limited edition framed cells from the movie The Wizard Of Oz - only 700 of these were ever made and I am lucky enough to have one of them! The cells I received are brilliant aswell - such an exciting and personal present. That's just a few of the presents I got - I had such a fab day and evening! A great way to start my year of being 24! Hope you had a lovely birthday! -it looks like you did! That cake looks amazing, I'll have tom remember that one when my birthday comes around! I'm a big Disney fan too, that Mickey and Minnie ornament is adorable! I just did a birthday haul! you got some lovely things, love all the disney balloons! The Wizard of Oz is one of my favourite films.....you lucky thing you! Happy belated Birthday from mw btw! I hope you enjoy Wicked, it was mindblowing! I also have that jar, but in purple! Looks like you got a lot of nice things :) happy belated birthday! And hehe I've totally said that I would collect little bits and pieces to put around my future place when I move out :) there's too many cute things that it's hard not to ;) lol really like the holiday fund & timer! What amazing and thoughtful gifts you received! Hope you had an amazing time. Happy belated birthday. Your jumpsuit on Instagram looked gorgeous on. What fab presents you got, especially the cells. That caked looks gorgeous, I am asking for that on my birthday! Wow! You've been spoilt! Gotta love a bit of Disney! That cake! NOM! Prisoners is such a good movie - although a little hard to watch in parts!